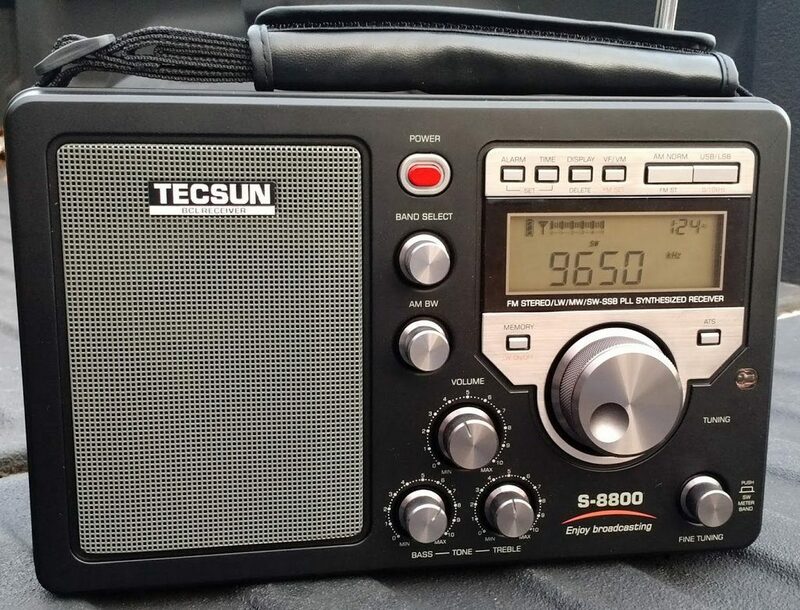 The Tecsun S-8800 is the latest iteration of large portable shortwave radios built on the same chassis as the C.Crane CCRadio-SW, Grundig S350DL & Grundig S450DLX. Note in SSB mode on LW, MW and SW, tuning steps are 10 Hz and 1 kHz. Click here to search eBay. Click here to purchase from Anon-Co. This entry was posted in Portables, Tecsun and tagged Portables, S-8800, Shortwave Portables, Tecsun, Tecsun S-8800. Bookmark the permalink.